מטבוקס סווינג אווי מבית ARRI אשר נוח לשימוש ובעל משקל קל במיוחד, ל-MB-19 2 שני מחזיקי פילטרים כאשר היקדמי מסתובב עם אופציה למגש מאונך, מגש 4X4 או מגש 4X5.6. The MB-19 is a compact, lightweight production matte box. When mounted on lightweight support LWS-3, graduated filters can be pushed through unhindered. Side flags with adjustable segments, used in conjunction with the top light shield, provide optimum protection against unwanted light. Also available are sets of clip-on mattes for use with both 16 mm and 35 mm formats. 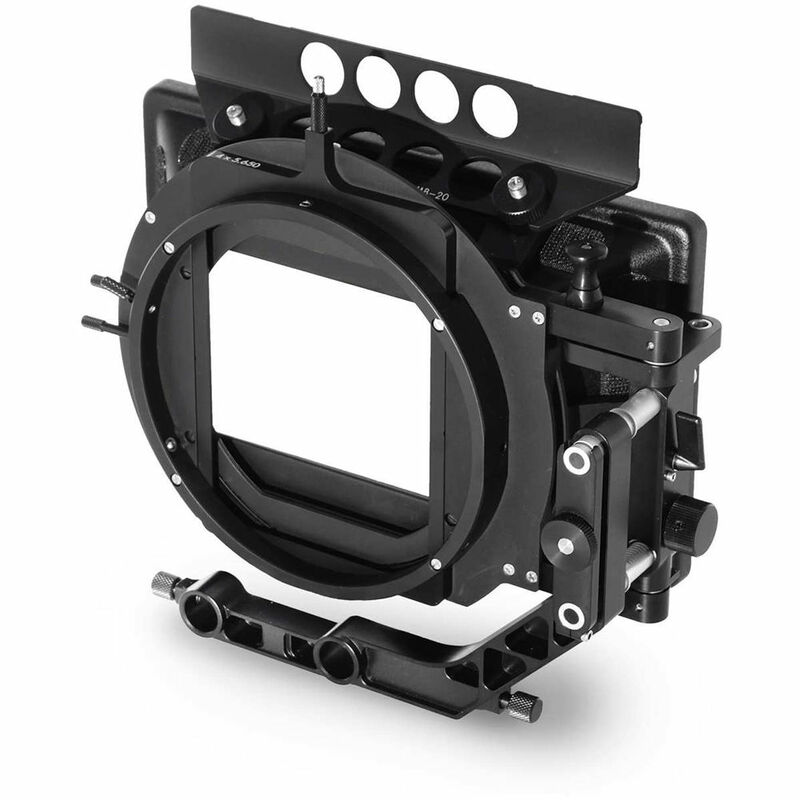 Through the use of additional adapters the matte box can be mounted on the 15 mm or 19 mm studio support rods of conventional bridge plates, making it suitable for 35 mm as well as 16 mm cameras. The MB-19 is supplied with a filter stage for two 4″ x 5.65″ filters. The front filter can be pushed through vertically; the rear filter can be displaced horizontally and additionally rotated. The filter stage is fitted with a rear receptacle for 138 mm diameter filter rings as well as for an additional filter stage for one 4″ x 5.65″ filter and one 138 mm round filter. To simplify lens changing, the matte box swings out. For quick adaptation to different lens lengths, the matte box can be moved back and forth with a lockable adjustment knob. A holder for secure mounting of French flags is included.